You might have noticed Scotland and Glasgow Warriors fullback Stuart Hogg has been sporting a rather unusual new hairstyle, after bleaching his entire head blonde. 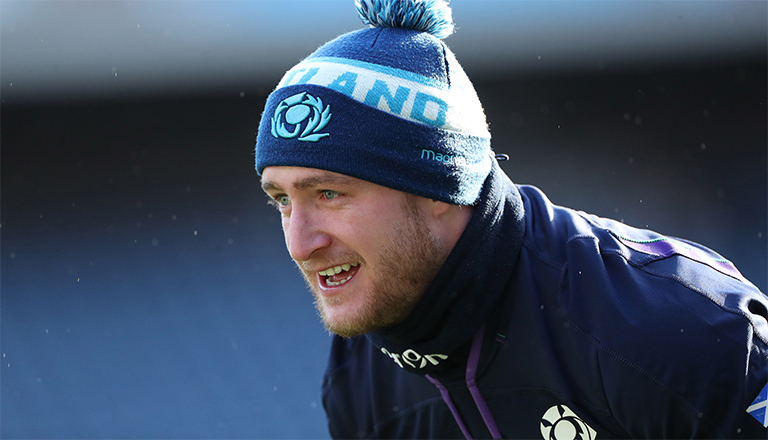 The 26-year-old has been out with a shoulder injury since Scotland’s Six Nations loss to Ireland in Round 2, but will be hoping he’s back in time to face Saracens in the Champions Cup for Glasgow next week. But before that Glasgow simply couldn’t resist taking the p*ss out of Hogg’s new haircut today by citing some Eminem lyrics. The American rapper’s bleached blonde hair became synonymous with his style during his most popular years. Stuart Hogg is nervous about this week's game against the Cheetahs.